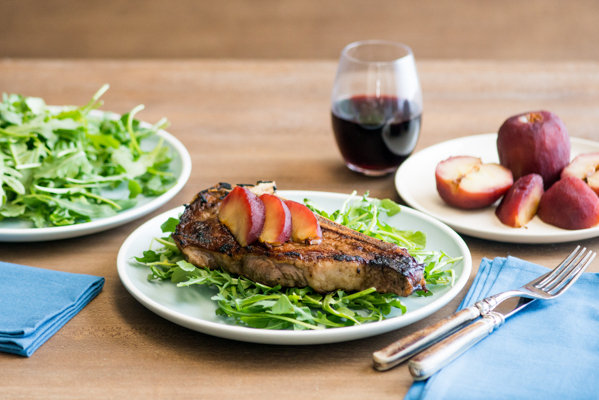 If you’re craving something sweet, fresh strawberries in springtime are the perfect pick. Strawberries are a nourishing treat that weigh in at only 45 calories per cup. With a healthy dose of vitamin C, folate, potassium and other vital nutrients, these heart-shaped gems are the perfect heart-healthy snack. Even more, research suggests that compounds in raw strawberries might help in the fight against cancer and may slow down how quickly the nervous system ages. Though frozen strawberries are always available, few things compare to a fragrant fresh strawberry in the spring. In most of the United States, strawberry season peaks in May. This is when they taste best and usually cost the least. Strawberries should be fragrant but not overly so. Choose strawberries with smooth, tight skin and true red color. Skip wet looking berries with soft spots. Strawberries tend to mold quickly. To stretch the life of your strawberries, wash them just before you eat them – not days ahead. My favorite way to enjoy strawberries is simply with a dollop of fresh whipped cream or honeyed ricotta. But strawberries are quite versatile. 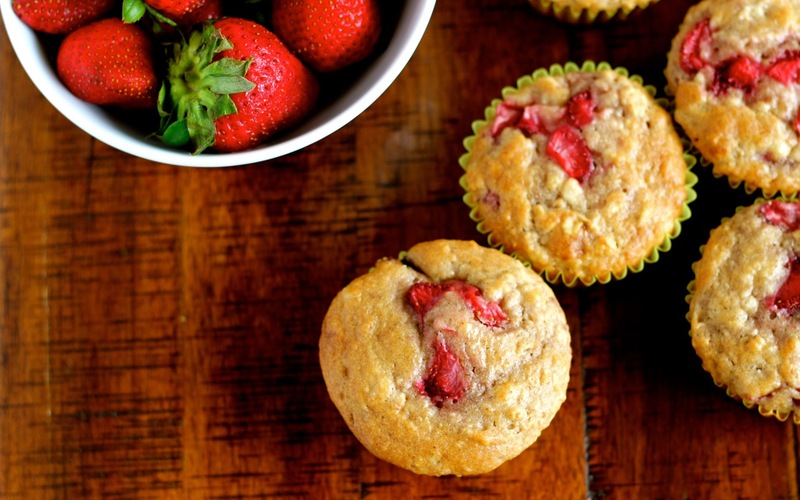 Add strawberries to a green salad, roast them, puree them into a sauce for dessert or pancakes, blend them into a smoothie and add them to desserts or muffins as I did in these Strawberry Oatmeal Breakfast Muffins. 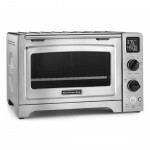 Preheat your KitchenAid® 12” Convection Digital Countertop Oven to 400°F (with convection on) using the bake setting. 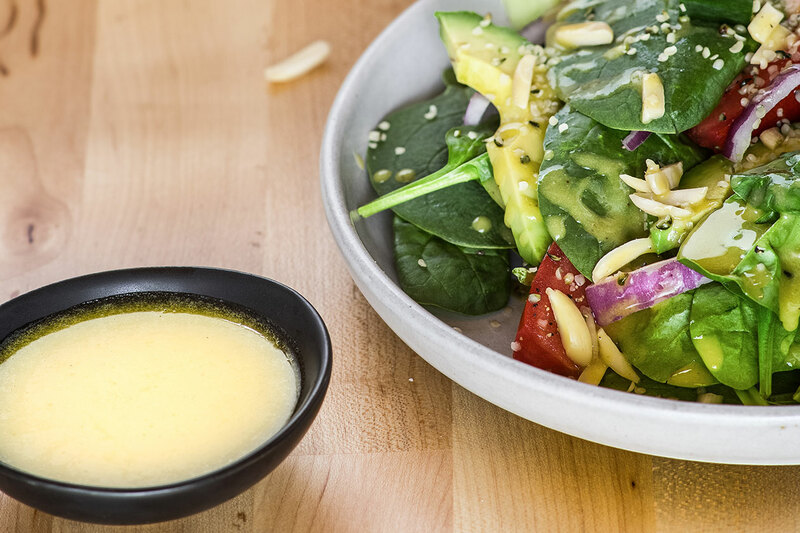 Prep the wet and dry ingredients in two separate bowls. When ready, add the dry ingredients into the wet. Bake 12 minutes or until a toothpick comes out clean. Let the muffins hang out in the pan for about 5 minutes before you bite into one. 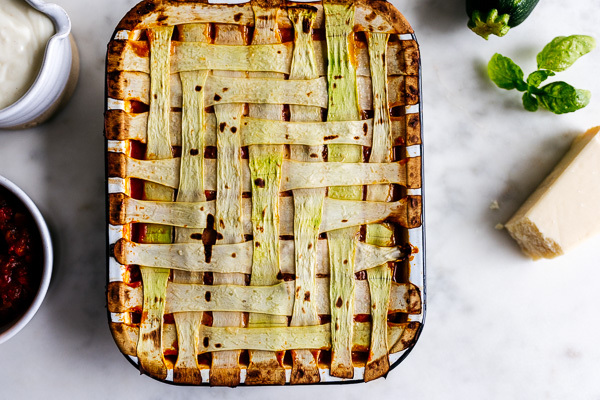 Transfer the rest of the rest to a cooling rack. Perfect with Greek yogurt or a smear of natural peanut butter, these strawberry oatmeal breakfast muffins are a healthy and satisfying start to the day. Using the “bake” setting with convection on, preheat your KitchenAid® 12” Convection Digital Countertop Oven to 400°F. Lightly spray or grease the muffin tin. Set aside. 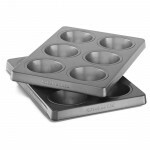 Spoon the batter into the prepared KitchenAid® Nonstick Muffin Pans. Bake 12 minutes. NOTE: I don’t recommend using paper muffin cups in this recipe. Baking directly on the muffin tin produced the best results – keeping the moisture in and creating a nice crust on the outside. Besides, the pan is very easy to clean.